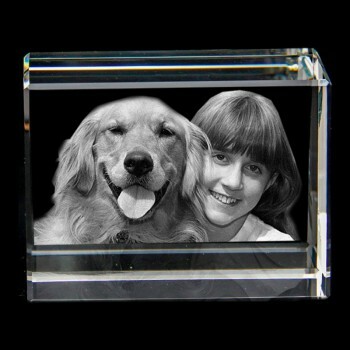 When looking for a special gift for a family friends 18th Birthday we decided on a Crystal photo block.We uploaded a picture of the four of us, a simple process. I was apprehensive about not getting to see how the photo looked before being etched in the block but when we received the finished item we were more than happy with the result. The crystal was delivered promptly and arrived in a nice black foam lined box suitable for giving as a present. Bought as rememberance gift, lovely quality my wife cried with the pictur of our little boy in it.